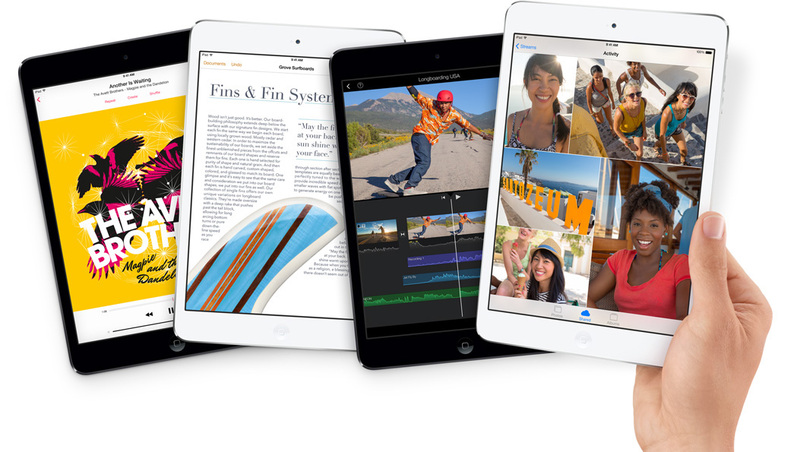 Apple has announced a brand new iPad mini, with a Retina Display and new space grey color. The iPad mini now matches it’s bigger brother with a screen resolution of 2048 x 1536. It’s also powered by the same 64-bit A7 chip as in the iPad Air and iPhone 5S. That means pin sharp text and crisp graphics will be experienced, unlike last years model with the much lower 1024 x 768 screen resolution. iPad mini will be available late November in white and space grey colors, priced $399 with Wi-Fi or $529 for the LTE model. New Smart Covers will also be available, priced $39 each, with leather wrap-around covers also available at $79. And for those looking to buy a budget iPad mini, Apple is continuing to sell the older model for $299.